Rss (Rich Site Summary) and some is calling Really Simple Syndication is a format or a way to expose your content on the web or others. Many sites make their rss feed and readers who wants can subscribe the rss feed and they can also share it on web. Data in a rss Is known as feed. And it contains all the updates of a website, video, images, headings, links etc. Rss feed has your all website or blog posts and link to each of them. And submitting them to a website means that website will index your all blogposts of all pages of your website. And that will rapidly increase the page rank of your website. There are many sites where you can submit your rss feed and they will index your all pages. List of site for rss submission is also available on think lala. The people who subscribe your rss feed means they like your blog and the wants regular updates from your blog and they really like to read your posts. So that will read your blog regularly and help to maintain the traffic on your blog or site. And also it tells the reputation of your blog. Which will help you in writing further. Rss feed is a well structured xml file. That has some standards. Rss feed can be created manually or can via a software. There are many online rss feed creator available. If you want to create the feed manually then follow these steps. Step 1 create an empty xml file. For this you can use simple notepad or any xml editor. Step 5 Now you can add items to your rss feed. You can add as many items in your rss feed. Every item has a date and a link and also has description. 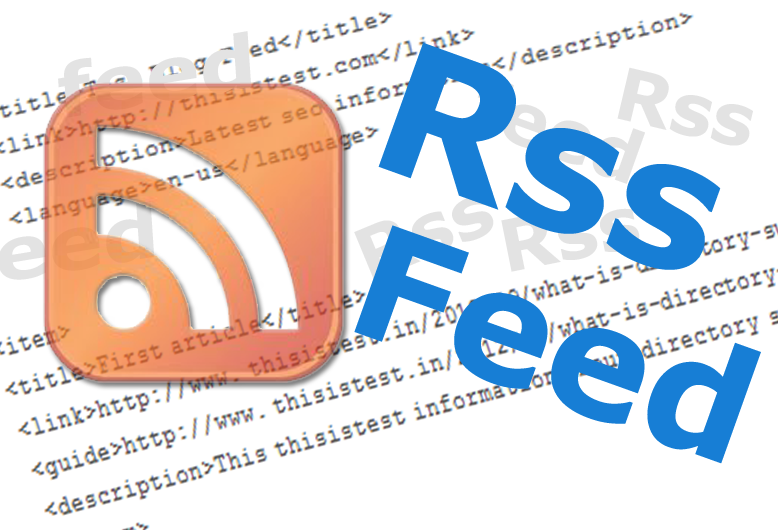 So it is necessary to have a rss feed for your site or blog. Because this is the only way that will tell your readers about the all the updates on your site. BigProfitbuzz is an Indian stock market advisory firm. BigProfitbuzz proven month after month that trading and investing in stock market can be profitable whether Market is bull or bear. Last week our all paid clients made a very huge profit in NIFTYSTOCK, SHARE TIPS NIFTY 50 stocks. They have a buy position at the level of 5900 booked at 6200. Now for the coming week we suggest all the traders to make a sell position in NIFTY & NIFTY 50 stocks at the level of 6300-6400 with stoploss of 6600 for the target of 6000 & 5900. We are in sell side because this is the time in that NIFTY can show some consolidation & selling pressure from top level. But keep the strict stoploss of 6600 for the NIFTY & NIFTY stocks. For further update you can visit our website. An RSS feed is a resource that shows the latest content from a source and the key thing about RSS is that it is updated automatically! So in the case of a blog, each new post will cause the RSS feed for that blog to be updated with the link to that blog post and this happens behind the scenes. By submitting the RSS feed to directories, you provide another way for your blog content to get syndicated and another way to distribute your backlinks. Really nice post to learn thing about RSS feed. A Real Estate market development SEO Company in Delhi, SEO Company in Noida, SEO Company in Gurgaon, SEO Company in India. For your best digital marekting strategy in India. free classified real estate in Machilipatnam Real Estate in: Buy, Sell, Rent ads for 1,2,3, BHK Property in Machilipatnam. Thank you for sharing and keep on updating. Nice post and this is a very interested and valuable posting. is getting more from this website, and your views are good for new viewers."